Employee theft is a chiropractor’s nightmare most DC’s hope will never happen. Yet, the U.S. Chamber of Commerce reports that one out of every three business failures are the direct result of employee theft. Worse, healthcare offices sit at number four in the top industries for fraud. Of course, most chiropractors probably feel immune to the effects of fraud, because they rationalize that they are a small office; perhaps they even pride themselves on their family style atmosphere or “mom and pop” type of practice. Unfortunately, this logic falls short in the stats: as a small business, you are MORE likely to experience fraud because you have fewer controls in place to prevent it, as compared to larger healthcare entities. Regardless of the size of your practice, you should be concerned with employee embezzlement in your chiropractic office and take action to prevent it. Unfortunately, the number of potential ways an employee can steal from you are many and few thieves are caught. However, you can take steps to help prevent employee embezzlement in your chiropractic practice. The first step is to keep a watchful eye over your practice and your money and to recognize the warning signs that typically accompany trouble. A “control freak” who insists on handling routine clerical tasks (often financial related) that are not part of their job duties. Or someone who does not let anyone else touch the money except themselves. unusual patterns in bank deposit statements. The best and first step in preventing employee theft is to make smart hiring decisions when bringing on a new chiropractic employee. Conduct a Background Check – Before hiring an employee, conduct a thorough investigation of the candidate’s background, including credit, employment, and criminal history. You can conduct an online search to find companies that perform pre-employment background checks, but be sure you use a reputable, established company. We have used a company called Direct Screening to conduct employee background checks, as they are quick and affordable. Note: You must receive the potential employee’s consent before gathering certain information. The Fair Credit Reporting Act and other federal and state laws govern the gathering and use of information for pre-employment purposes. Be sure you obtain a signed authorization and release form from a potential employee. The company performing the background check can provide these. Check references — Sadly, most employers do not contact the references that potential employees provide. Chiropractic is a small profession and it’s likely you may even know their previous employer if they have worked for a chiropractor in the past. Either way, it is critical to to discover if past employers speak highly of the candidate. Don’t be afraid to call personal references either. Often, personal references are very candid about an applicant’s strengths and weaknesses and their suitability as an employee in general. Google Your Applicant – the internet contains one of the best FREE pre-employment screening tools available online. Simply google your applicant’s name (and perhaps their address) and see what you find. Spend a few minutes on their Facebook page, as that can be very revealing about the type of person you are dealing with. And as you search, you may be able to uncover information about them that is publicly accessible but that they would probably want to keep private. Separate Duties and Double Checking Deposits – avoid having one employee who collects all the payments over the counter and who handles all your financial details, including daily deposits. Either separate their duties and/or have a second employee verify the accuracy of the deposit for that day. This simple procedure not only helps prevent errors, it deters embezzlement and helps hold everyone accountable. Individual Logins – to save time and keep things simple, some small offices have multiple employees use the same computer and/or software logins. This is a mistake. If everyone shares the same login, you will have a difficult time differentiating who made mistakes and, worse, who is actually stealing from you. 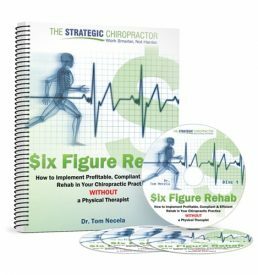 Keep Control – Some chiropractors practically invite embezzlement into their office by having one employee (usually the billing person) who has access to all the passwords for the computer, clearinghouses, insurance payers, etc. Make sure that you always have a password to every important vendor, to your software and that no one is able to change the passwords or lock you out of systems. Statements Sent Home – Have all your bank statements and credit card statements mailed directly to you at your home address rather than the office. Check them each month when you get them, and ask questions if something doesn’t seem right. Outsource Payroll — Do not give any employee the authority to write their own paychecks. Even small offices can utilize an outsourced payroll company which not only helps prevent embezzlement but will also keep you updated on taxes and make sure that payroll is processed correctly. Eliminate petty cash – In general, any source of cash lying around the office is ripe for trouble. And petty cash can be the first source of theft employees will seek out. Instead, use a company credit or debit card for even the smallest transactions. This ensures you will get a receipt and it discourages someone dipping into your petty cash undiscovered. Make Embezzlement An Employee Handbook Issue – It should be clearly stated in your employee handbook that any employee guilty of embezzlement will be dismissed and that employees who steal will be prosecuted. 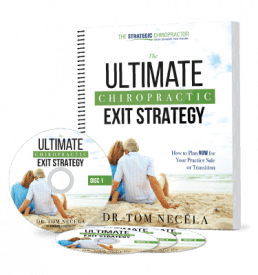 Hopefully, this post is a sobering reminder to all chiropractors that employee embezzlement is a reality – even in our small practices. Unfortunately, several of our coaching clients have had to deal with this issue over the years and chances are good that you will be forced to face this as well if you practice long enough. So, insert an ounce of prevention by implementing the steps above so that you can minimize any potential damage. Or – better yet, stop chiropractic employee embezzlement before it ever happens!